I submitted three paintings and learned that I’d won an award in the South Hills Art League annual juried show in October. 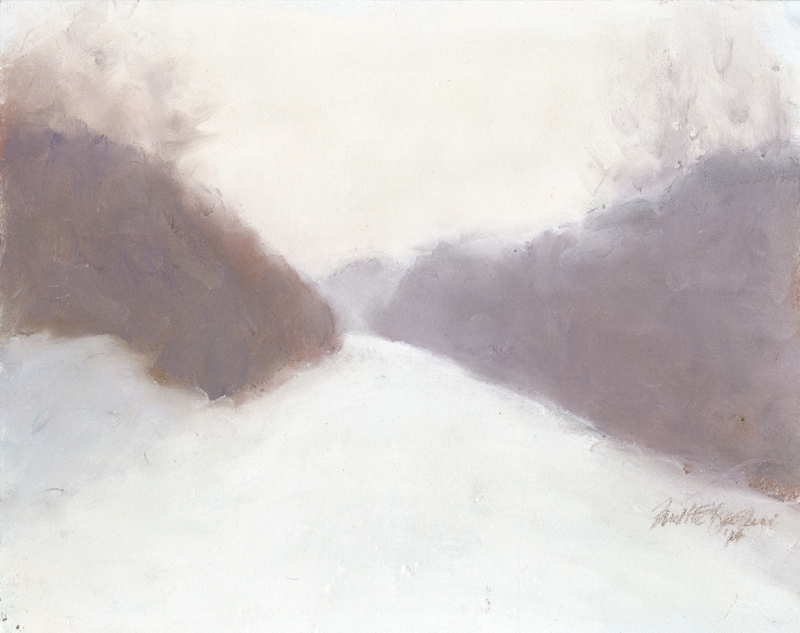 Above, “Snowfall”, which I’d shown in my exhibit “Sun Shadow Ice & Snow: Seasons of the Panhandle Trail”, won in the second highest award category, “Award of Excellence”. Of the three pieces I entered I’m surprised this one was a winner, but I like snow, so why not? The original is for sale, framed, for $250, as well as prints in my Etsy shop. Visit my Etsy shop to see more about purchasing the original painting or giclee, digital or canvas prints. 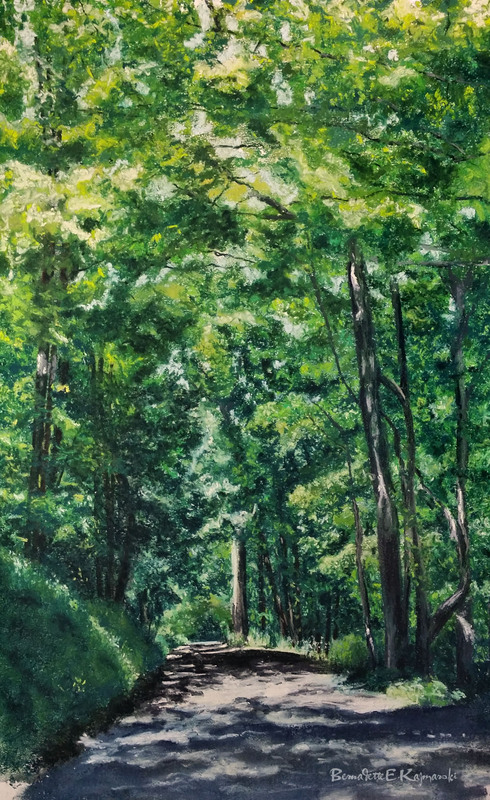 This entry was posted in landscapes, pastel, prints of artwork and tagged country road, digital prints, framed art, giclee prints of pastel painting, green, landscapes, pastel painting, summer, trees on January 11, 2015 by Bernadette.